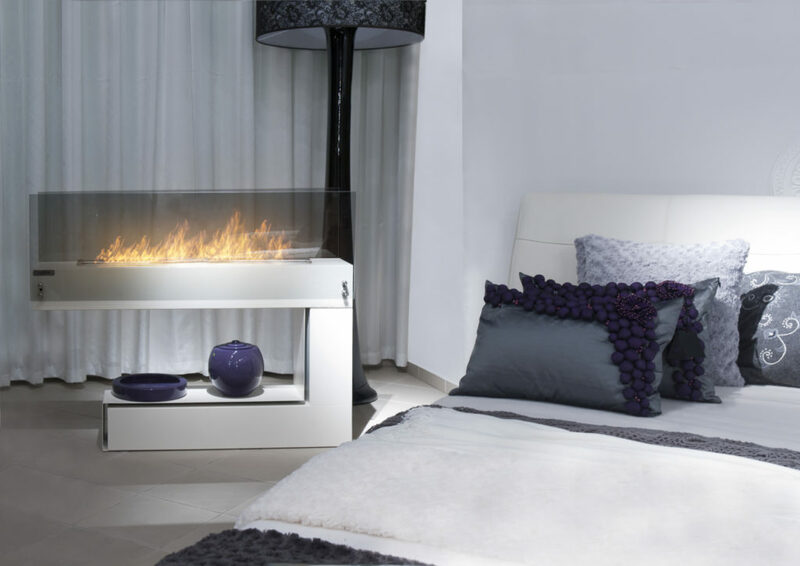 Spectrum model is a stand-alone fireplace which is characterized by modern design. Its unique form shall suit both, classical and modern interiors. It may be adjusted to the interior due to various colour schemes. Tinted (toughened) panes make the fire look atmospheric at the same time ensuring the safety of use. 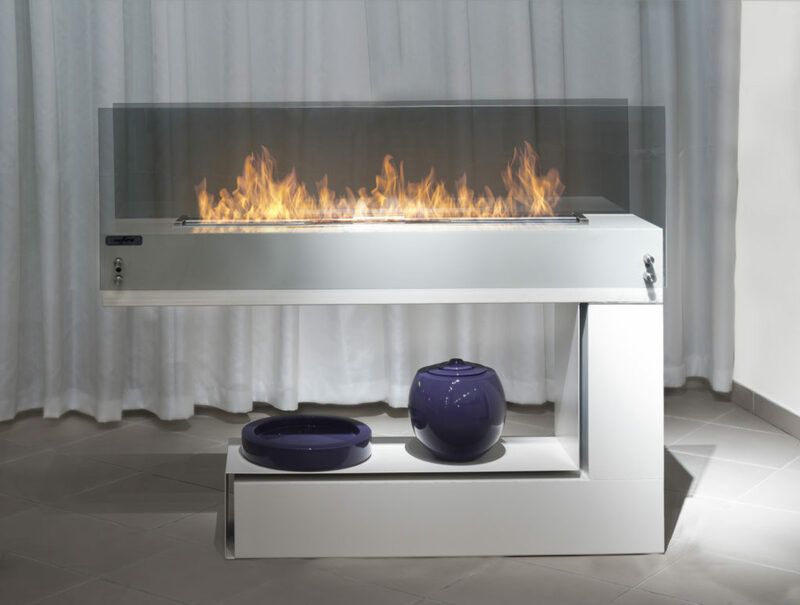 Spectrum fireplace was designed so that its bottom part could be used as a shelf. 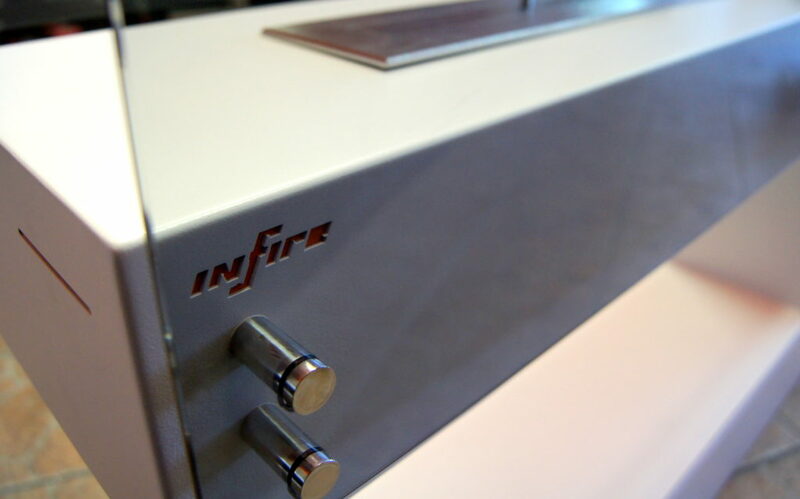 The fireplace is double-sided so it may be located in any place, not necessarily against the wall, which gives the possibility of enjoying the fire from two different sides or in two different rooms.